Users of Microsoft Vista have another support resource to turn to when they have questions about the latest operating system. 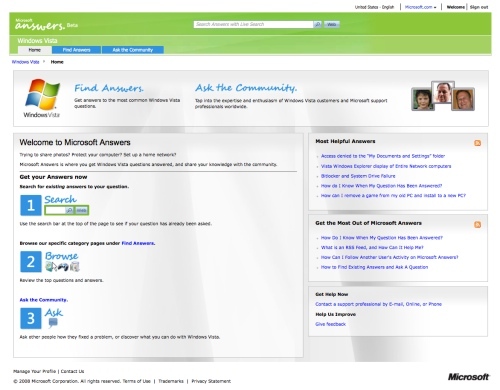 Microsoft Vista Answers combines community (discussion), frequently asked questions and search into one self-help portal. 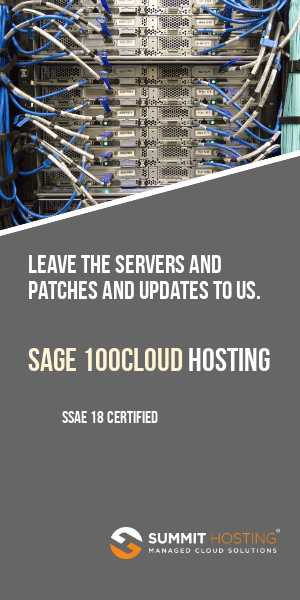 The service is presently in beta and as with almost everything Microsoft based, you’ll need a Windows Live ID to login and do anything useful like post a question. This would be wonderful if it could also be expanded to some of Microsoft’s other product lines and be kept free of spam and other malicious content. Apparently user to user community message boards supplemented by vendor support is the wave of the future for technical support. I would not be surprised if one day over 90% of all support was rendered via an online self-service portal such as this with the remaining 5% delivered as premium priced custom support. It is surprising to me that no one has combined these facets before. Kudos to Microsoft for doing this – it should lead to a better user interface and make it easier for people to find answers to their questions.